WEST PALM BEACH — Lenders repossessed more than 6,700 Florida homes in July, an increase of 38 percent from last year and a trend contrary to national reports of fewer bank takeovers and a greater willingness to work with borrowers. A report from the Irvine, Calif.-based RealtyTrac found banks repossessed 21 percent fewer homes last month than during the same time in 2011, and one percent fewer than in June. July marked the 21st straight month of declines in bank repossessions nationwide. The increase in Florida surprised analysts, said RealtyTrac Vice President Daren Blomquist. Palm Beach County was a standout in Florida because it had a 28 percent decrease in bank repossessions in July compared to last year. A bank repossession is the final stage in the foreclosure process. But not everyone here is winning a loan modification. Two weeks ago, Royal Palm Beach residents Joanne and Thomas Soroko lost their home in a final foreclosure judgment in favor of the bank. The Sorokos had a balloon mortgage, which was refinanced into a 20-year mortgage for more than they could afford. As soon as they realized the payments were too much, they tried to negotiate a loan modification, they said. That was in 2009. The Sorokos’ home is scheduled to be sold at auction Dec. 26. RealtyTrac measures three types of foreclosure filings including the initial notice, advertisement of sale, and the final bank takeover after auction. In overall foreclosure activity, Florida moved to a third place ranking in July, behind the fellow sand-states of top-rated California and Arizona. Florida ranked sixth nationally in June. 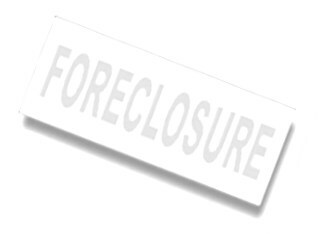 Part of the third-place finish was attributed to a continued increase in initial foreclosure filings. Those jumped on an annual measure in Palm Beach County and statewide in July, increasing 4 percent and 20 percent, respectively. Nationwide, new foreclosures were down 6 percent in July from June, but up 6 percent from the same month last year. It was the third straight month of increases after a 27-month decline when measured on a year-over-year basis. “Recent foreclosure activity patterns vary significantly from state to state, often hinging on the level of dysfunction that exists in each state’s foreclosure process,” Blomquist said. 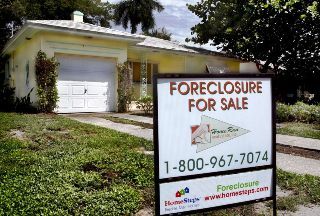 It takes 861 days to foreclose on a home in Florida, RealtyTrac found. That’s more than two years, and 55 days longer than when it was reported in January. With bank repossessions and new filings up in Florida, Blomquist said declarations that the market has rebounded may be premature. More distressed homes for sale means lower prices. At the same time, however, Realtors are clamoring for inventory. The supply of single-family homes in Palm Beach County shrunk five months in June from 11.9 months in May 2011. Statewide inventory of single-family homes was down 40 percent in June from last year to six months. Banford, whose company has started managing non-performing loans bought at a discount by investors, said the private groups have more flexibility to reduce borrower payments. “There’s less bureaucracy, fewer layers,” he said.